In the autumn of 1615 the Earl and Countess of Somerset were detained on suspicion of having murdered Sir Thomas Overbury. The arrest of these leading court figures created a sensation. The young and beautiful Countess of Somerset had already achieved notoriety when she had divorced her first husband in controversial circumstances. The Earl of Somerset was one of the richest and most powerful men in the kingdom, having risen to prominence as the male 'favourite' of England's homosexual monarch, James I. In the coming weeks it was claimed that, after sending Sir Thomas Overbury poisoned tarts and jellies, the Somersets had finally killed him by arranging for an enema of mercury sublimate to be administered. 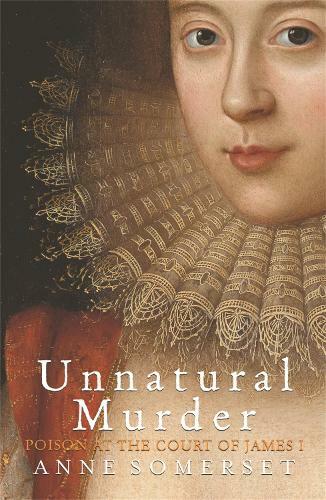 In a vivid narrative, Anne Somerset unravels these extraordinary events, which were widely regarded as an extreme manifestation of the corruption and vice that disfigured the court during this period. It is, at once, a story rich in passion and intrigue and a murder mystery, for, despite the guilty verdicts, there is much about Overbury's death that remains enigmatic. Infinitely more than a gripping personal tragedy, the Overbury murder case profoundly damaged the monarchy, and constituted the greatest court scandal in English history.